Sugar and high-fructose corn syrup have become synonymous with soda, candy, cake, ketchup and salad dressing. They’re also prominent in the refined and processed foods that make up the bulk of the Standard American Diet. They play a major role in the obesity outbreak, metabolic disease, type-2 diabetes, heart failure and a number of other common health problems facing the nation. But is there a difference between sugar and high-fructose corn syrup (also called HFCS)? As you read this, there is a massive billion-dollar court battle taking place that’s been underway since 2011 between sugar processors and corn manufacturers. Things between the two industries are definitely not sweet. The court battle is centered on a lawsuit filed by sugar processors claiming that HFCS manufacturers falsely label their products as natural. Unfortunately for consumers, whether HFCS is natural or not has virtually no merit on its health impacts, and regardless of what the courts find, one fact remains clear: natural does not mean healthy. HFCS comes from corn, but it is not corn syrup. Instead, it is a treated form of corn syrup that gets its sweetness from 55% fructose and 45% glucose. To make it, corn is heated into corn syrup, with zero to five percent of the unprocessed enzyme glucose oligomers, which is an oligosaccharide. There are two main types of HFCS: HFCS 55 and HFCS 42. The former is mostly used in soft drinks (the most common place to find HFCS) and the latter is found in various beverages, processed foods, cereals and baked goods. Is HFCS natural? I suppose is; there is nothing synthetic about it. But that certainly doesn’t make it safe. Table sugar, or sucrose, is made up of equal parts fructose and glucose and is typically extracted from beets and sugar cane. It too, is natural, and it too is dangerous to your health. At the end of the day, there is virtually no difference between sugar and HFCS and both of them should be used sparingly and judiciously. When you eat too much sugar or too much HFCS, you greatly increase your chances of acquiring the symptoms of metabolic syndrome, non-alcoholic fatty liver disease, obesity, heart failure and type 2 diabetes. Glucose and fructose are quite different and have different impacts on your body. When you consume sugar, or HFCS, your body breaks it down into two main ingredients: fructose and glucose. Glucose is found in every living cell in your body and on the planet. If you don’t get it by dietary means it’s produced and stored in the body. It’s used to create energy to fuel your organs and muscles. Fructose, on the other hand, is not naturally produced by the body and you have virtually no need for it. Whereas glucose can be metabolized throughout your body, fructose, in a significant amount, is metabolized by your liver. In small amounts—like the amount found in an apple or other variety of fruit—it is simply turned to glucose. But when it’s overloaded—like say the amount you would get in a soda or candy bar—the fructose bombards the liver and is stored as fat. As you can imagine, this is not good for your liver, one of the most important organs in your anatomy. There is a difference between nutritive sweeteners and non-nutritive sweeteners. 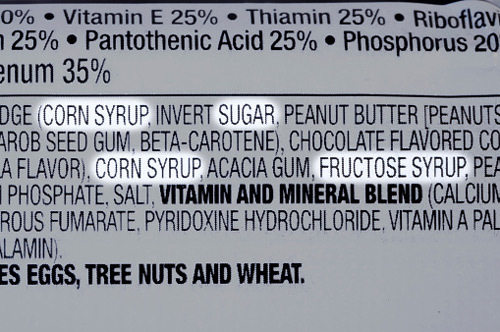 A nutritional sweetener includes any calorie-containing sweetener. The types of calories in theses sweeteners are carbohydrates with a high glycemic load. Glycemic load refers to how carbohydrates influence blood sugar (blood glucose). Foods with a high glycemic load cause the most rapid rise in blood sugar and have the potential to do the most damage. Sweeteners like sugar, HFCS and honey, from a nutritional and caloric standpoint, are essentially identical. On the other hand, there are non-nutritive sweeteners like sucralose and aspartame that have zero calories and no nutrition. And although these synthetic sweeteners are unnatural, the research shows that the danger of consuming them is largely inconsistent. If there’s one thing that is consistent, however, is that high consumption of sugar and HFCS can be deadly. It can lead to non-alcoholic fatty liver disease: One of the biggest harms caused by alcoholism is liver disease. Absorbing and filtering alcohol is very taxing, and the process can leave your liver damaged. The same thing can happen when your diet is high in processed fructose. When fructose is turned to fat in your liver, it is distributed in the form of LDL cholesterol. This type of LDL cholesterol is the type associated with atherosclerosis and deposits along the arteries. But not all of the fat gets out, and some of it is stored in the liver as fat deposits. Research shows that people with non-alcoholic fatty liver disease consume up to two to three times as much fructose as people who don’t. It can cause insulin resistance: This is the major problem associated with a diet high in refined sugars, and ultimately the root of many of the conditions that seem to spin off from it. Insulin is a hormone secreted by the pancreas that basically transports glucose into your cells to be used as energy. When you have too much insulin in your bloodstream—a result of too much sugar—increased levels of insulin become toxic and it stops working. This is known as insulin resistance. Insulin resistance seems to be the reason for diseases like metabolic syndrome, obesity, heart disease and type 2 diabetes. Because research has shown that sugar and HFCS are highly addictive, they are difficult to cut out cold-turkey. How many times have you just needed something sweet? One of the best solutions is to start exercising. Exercising not only improves glucose metabolism, but it seems to keep people away from the processed sweet stuff. It might be because exercise signals some of the same satisfaction neurotransmitters that sugar-laden foods do, or it could be because it provides motivation to improve overall diet and lifestyle. Conversely, when diet or exercise is cut and people have just a taste of sugar, cravings seem to return almost instantly. The best way to control this is to limit portion sizes or schedule a sugar treat in a controlled environment. The key is to avoid re-introducing it in a major way. You can also opt for naturally sweet options like fruit and vegetables. Apples, bananas, plums, tangerines and berries are all naturally sweet, full of nutrition and are easy to grab and eat on the go. Sweet potatoes and oats are also a great option, and I find that adding a non-nutritive sweetener and some cinnamon to either of these foods makes it taste great and satisfies my cravings for something sweet. Now sometimes you might just be craving a cake or candy bar and need the sweetness. Trust me, I’ve been there. Opt for snack bars that are sweetened with sucralose, low in carbs and high in protein and fiber. As mentioned above, the decision before the courts is all about advertising, not the impacts of sugar and HFCS on the health of Americans. Natural doesn’t mean healthy, and too much sugar and HFCS is definitely not part of a healthy diet. They are essentially one in the same, and both can be deadly. Brown, H., “Good question: What’s the difference between sugar & high fructose corn syrup?” CBS Minnesota web site, November 4, 2015; http://minnesota.cbslocal.com/2015/11/04/good-question-whats-the-difference-between-sugar-high-fructose-corn-syrup/. Zelber-Sagi, S. et al, “Long term nutritional intake and the risk for non-alcoholic fatty liver disease (NAFLD): A population based study,” Journal of Hepatology, 2007; doi.org/10.1016/j.jhep.2007.06.020. Ouyang, X. et al, “Fructose consumption as a risk factor for non-alcoholic fatty liver disease,” Journal of Hepatology, 2008; doi.org/10.1016/j.jhep.2008.02.011. Grundy, S., “Hypertriglyceridemia, insulin resistance, and the metabolic syndrome,” The American Journal of Cardiology, 1999; doi.org/10.1016/S0002-9149(99)00211-8.